In 1900 McKim Council included T. N. Kilpatrick, Reeve and Councillors F. Hamilton, J. W. Hardy, Thomas Smiles and Charles Ade. into CCC accidents, always a matter of concern for the company, would be held in Copper Cliff, not in Sudbury, before juries selected from among Copper Cliff resi­dents and controlled by the CCC. royal assent, and an elected mayor and council, all Anglo-Saxons, took office on January I, 1902. This was one of the very few elections held in Copper Cliff; most subsequent councils were acclaimed to office. Edward Thomas Corkill was born May 29,1880 in Frontenac, Ontario to Thomas Samuel Corkill and Louisa Rea. Edward Thomas taught school for a few years before graduating from Queen's University. Once he had is degree in mining engineering, he went on several exploration trips in Northern Ontario, and had occasion to work with J. B. Tyrell (a well known Canadian geologist). 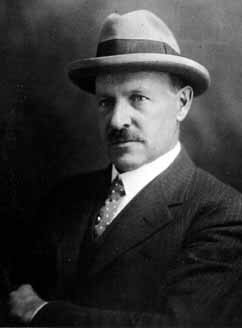 Edward Thomas Corkill was Chief Inspector of Mines with the Ontario Bureau of Mines. On December 24, 1910 he married Ethel Ford Rea in Adair, Saskatchewan. They had two sons. Edward Rea Corkill born June 3, 1913 in York, Ontario and died two days later; and John Thomas Corkill born August 23, 1914 in Copper Cliff. Edward Thomas resigned as Chief Inspector of Mines on July 31st, 1913 to accept the position of safety engineer with the Canadian Copper Company. In 1914 the family lived at 3 Granite Street. By 1920 the family had moved to 10 Park Street West. In 1921-22 Edward Thomas was Superintendent of Mines for the International Nickel Company. Edward died May 30,1960 in Toronto. There is a Corkill Township in the District of Timiskaming. The township appears to be uninhabited, but the site of one or two mines/mining claims. It is not known for sure, but suspected that this Township may have been named for Edward due to his exploration of the region. George Ralph Craig was born August 1, 1876 in Quebec to John Craig and Elizabeth MacArthur. George married his wife Jessie Margaret Robertson, born February 12, 1879, on October 9, 1899 at Goldenville, Guysboro, Nova Scotia. From the 1901 Census of McKim, town of Copper Cliff, George and Jessie were living with lodger John Robertson, fireman. George served on Council in 1907, 1908, 1918 and 1919. He was Mayor of Copper Cliff from 1909 to 1913 and 1920 to 1929. In addition to serving as Mayor, George was a master mechanic in the Smelter. In 1911 George was working for International Nickel Company, with a house at 2 Park Street West. In 1920 he was working for the Canadian Copper Company, office phone 87, house phone 13, house on the north side of Park Street and the corner of Granite Street. In 1929, George and his family left Copper Cliff to work at Port Colborne, Ontario. 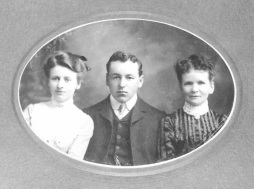 Ethel Isabel Craig (sister), George Ralph Craig with their mother Elizabeth MacArthur Craig. Photo Private Collection Bernice Magee. 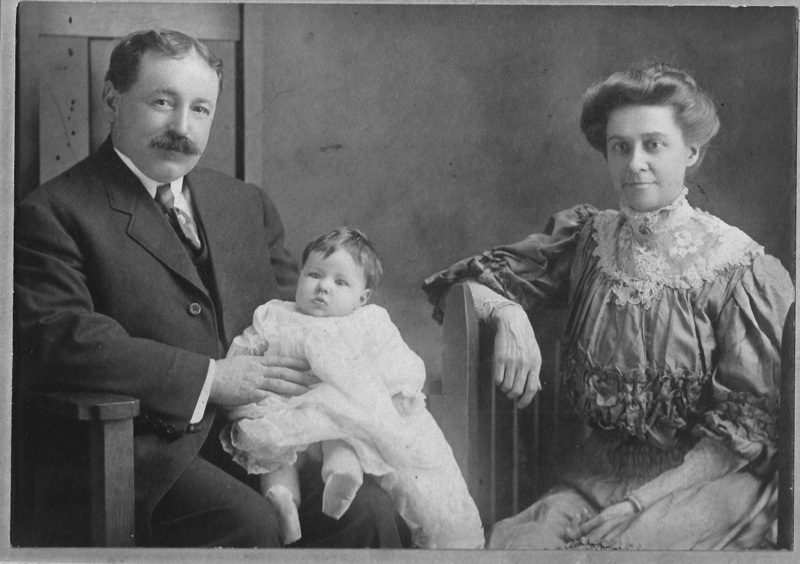 George Ralph Craig, daughter Beulah and wife Jessie. Photo Private Collection Bernice Magee. Fred Hamilton was postmaster from February 1, 1896 to January 27, 1900. He was a Councillor in 1902, but served only one term as mayor. 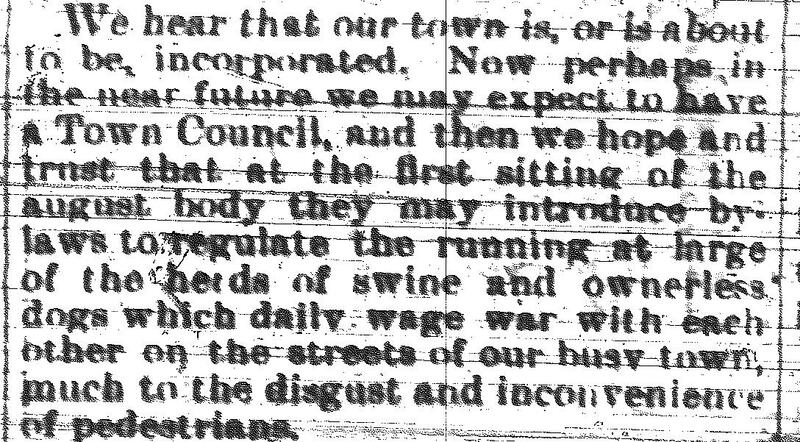 "Initially Turner [President of the Canadian Copper Company (CCC)] did not intervene directly in the municipal politics of Copper Cliff, but in 1905 a slate of anti-CCC Councillors headed by mayor Fred Hamilton was elected. Within months Hamilton and three associates, all of them local merchants with buildings on CCC property, were informed that their leases would not be renewed. Staunch Conservatives, the four men appealed to Cochrane, then an MPP, but his intercession resulted only in Turner agreeing that the company would pay a fair price for the buildings. Thereafter, as one-time CCC controller Frederick P Bernhard later recalled, “the make-up of the Council was discussed and agreed on in the General Office [of the CCC] and the personnel decided upon were elected by acclamation on nomination day. Thomas Nichol Kilpatrick was born August 16, 1867 in Perth, Ontario to Peter Kilpatrick and Marion Nichol. See also ‘Places – Settlements – East Smelter & Johnson Extension’. His older brother was William Cunningham Kilpatrick. From the 1901 Census of McKim, Nipissing District Thos Kilpatrick, age 33, his wife Elizabeth (Fraser) “Lizzie’, age 28 and their children Peter Nichols, born 1894, age 6, Marion Jean ‘Jane’, born 1897, age 4, and Fraser, born 1897, age 3. Living with them was Elizabeth’s mother Marion, age 76. Children born after the census were Kenneth, born 1903, John born 1906, and Catherine born 1907. From the 1911 Census of Sudbury, 115 John Street, Thomas Kilpatrick, age 43, prospector, his wife Elizabeth, age 39, and their children Peter, age 15, Jean, age 15, Fraser, age 13, Kenneth, age 8, son John, age 5 and Catherine, age 3. Son Thomas Fraser was born September 9, 1897 in Westmeath Renfrew County. He enlisted in World War I May 11, 1918 and served in Siberia. Fraser was an insurance agent living at 293 Edmund Street, Sudbury. 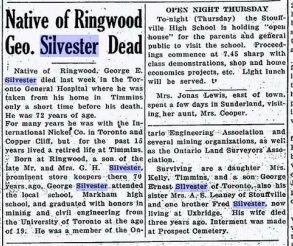 At age 24 on April 24, 1922 Fraser was killed in an automobile accident on the Copper Cliff Road, and died suddenly of a fractured skull and hemorrhage. In 1919, Thomas Kilpatrick and George Craig were President and Vice-President, respectively of the Northern International Curling Association. Thomas Kilpatrick died January 3, 1941 in Sudbury. See also 'Places - Rex Theatre'. John was born June 2, 1857 to James Donald Joseph McKinnon and Catheriine McCallum. He was a business man in Copper Cliff. See also 'Places - Rex Theatre'. John was a Councillor and then Mayor for 2 terms. He died April 8, 1912 in Copper Cliff of tuberculosis of the lungs. From the 1901 Census of McKim, Nipissing District, John McKinnon, age 40, born June 2, 1860, Scotch origin, occupation Merchant, his wife Hester (Wolfe), age 34, Sons Danny, age 15, and Richard, age 9. 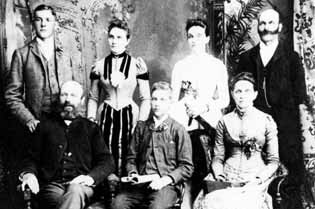 Other members of the household included Dan Fitzpatrick, age 65, Domestic (occupation teamster), Robert Pringle, age 24 and William Hickey, age 22 both Clerks in General Store, Margret Vincent, age 26, Bella Campbell, age 20, Flora Campbell, age 18 and Mary Fallie, age 20, all General Servants; and Lodgers Sr Gid Fairbairn, age 22, Chas Fairbairn, age 19, Gid Fairbairn Jr, age 22, Marsh Murn, age 38, Geo Cate, age 40, Willie Chalker, age 42, John Gunter, age 38, Ead Jackson, age 35, Arther Skenan, age 24, Frank St. Michal, age 29, William Dunn, age 30, Robt Benlty, age 26, Wm Bellingham, age 25, Edward Hammell, age 34, Joe Hocking, age 30, Edd Dunn, age 29, Robt Wallace, age 26, John Frood, age 21, Done Clark, age 22, John Helana, age 22, Sam Maryie, age 24, Hay Davis, age 20, Herb Morly, age 36, Phill Vantt, age 41, Wm Miller, age 43, Arthur Gagnon, age 32, Dan Gum, age 30, Joe Whitehead, age 21, Arth Wilson, age 24, Geo Clough, age 24, Geo Lelett, age 29, Stu Torpy, age 19, Robt Goodin, age 42, and Louis Selar, age 39. George Ernest Silvester was born October 5, 1871 at Whitchurch, York County, son of George Silvester (merchant) and Diana Adelaide Jones. He married Helen Elesha O’Connor June 6, 1905 in Nipissing district. At the time of his marriage George was a civil engineer, a graduate of Toronto in the early 1890’s. He was employed as the first engineer with the International Nickel Company. From the 1911 Census of Park Street, Copper Cliff George Ernest Silvester, age 37, born in Ontario, his wife Eleanor, age 33. Daughter Rosemary Adelaide, age 5 and Mary Bowers, age 18, domestic. A son Joseph Henry born September 1, 1910, died on September 3rd of haemophilia. George was a Councillor and then Mayor of Copper Cliff from 1914 to 1917. John L. Agnew, general superintendent of the Canadian Copper Company, and G. E. Silvester, mayor of Copper Cliff skipped the two rinks that performed in the official opening ceremonies of the Copper Cliff Curling Club. He was Chief engineer with the company in 1918 and moved to the Toronto office as assistant to the President until 1926. After that time he was in private practice. George died in 1943. William (Bill) Talbert Waterbury was born June 18, 1888, the son of William H. Waterbury and Mary Jepson at Selkirk, Ontario. Bill attended Elliott Business College in Toronto, enrolled in commerce and shorthand. He started as a clerk with the Canadian Copper Company in 1909 and by 1918 was the local purchasing agent for the company. In 1947 he was the assistant to the vice-president. Bill worked for International Nickel Company for 44 years. On September 9, 1916, he married Pansy M. Smithson in Chicago. They lived at 11 Park Street east. Their children were Barbara, Patricia and William Robert (Bill Jr.) born in 1920 and died in 1949. Bill served as Mayor in 1919, 1947-1952, and 1953. He also served as President of the Nickel Belt Baseball Association.